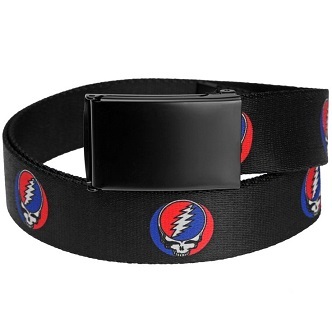 This black Grateful Dead Steal Your Face belt is adjustable and features a bottle opener on the back of the belt buckle so you never forget your bottle opener anywhere you go. Belt is one size fits most and is adjustable to waist size. Officially licensed Grateful Dead merchandise.